There's no better time to stock up on the basics than the end of summer; a new season, and for most of us, a new school year. One department I'm lacking in is my supply of striped tops, or striped pieces in general. I, like everyone else who writes a blog with the word "prep", "preppy", or "prepster" in their title, fantasizes over navy and white stripes and quite literally has dreams of donning such attire in parks with iced coffee in hand alongside a fabulous little pooch in a pretty city somewhere warm. So, when I can't pull my weight when it comes to my closet and my stash of navy sailor-inspired garments, I know there's only one thing to do. Shop, and shop fast. 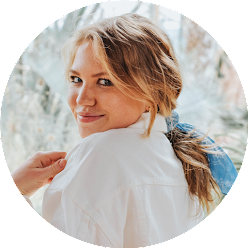 Shop my striped picks below! What are your striped necessities? Love all these picks! I most definitely have a stripe problem, but you can never own too many right?? Okay, that striped long sleeve from JCrew is coming home to live in my closet! 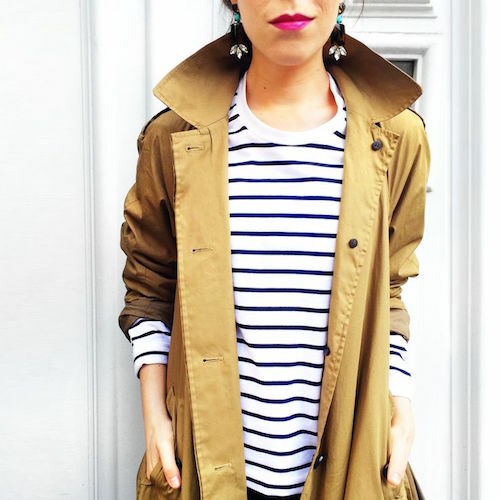 Love the trench coat with the stripes! Amazing! Also, we were wondering what you used to insert the "shop my picks" scroll button at the bottom of the post?